Well, what a let-down. ONLY JOKING! 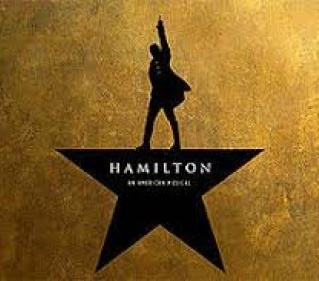 Lin-Manuel Miranda’s revolutionary hip-hop musical about a near-forgotten founding father exceeds the hype. This is a breathlessly exciting, politically charged, brilliantly layered run-through of a remarkable life as the orphaned, immigrant Hamilton rises to shape America’s destiny before falling victim to hubris. The score is hectic, the lyrics incredibly sophisticated in their ability to make complex or even dull ideas fascinating through tumbling internal rhymes. Newcomer Jamael Westman is a charismatic Hamilton and the role of Aaron Burr gives Giles Terrera the part he’s long deserved. The message and the multiracial casting make a vital statement, and the decision to give the ending to Hamilton’s wife Eliza (Rachelle Ann Go) is both lovely and right. Amy Herzog’s play about a young American couple struggling with secrets and insecurities in Paris is a slightly overwrought psychodrama, lifted by the performances of Imogen Poots and James Norton. 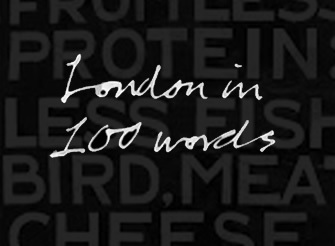 She is wry, jittery and raw as Abby, suffering depression and possibly envy over her sister’s imminent baby. He’s a square-jawed jock-doctor with a dope habit, all easy charm until his weakness begins to show. Through their relationship with their Muslim landlord and landlady, Herzog may be making a wider point about American self-indulgence and introversion, but the play remains essentially a domestic two-hander and the layered, engaging performances of the leads hold the attention up to the somewhat improbably conclusion. Carl Grose’s wilfully perverse adult musical is richly atmospheric and stylish but could do with a stronger story and punchier score to support its wicked grotesqueries. 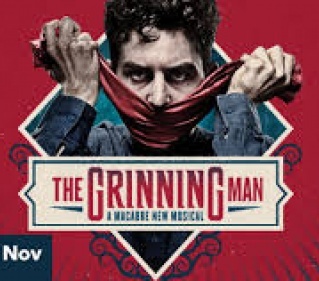 His face cut into a rictus grin as a boy, Grinpayne (Louis Maskell) becomes a circus freak whose agony and disfigurement is, somewhat mystifyingly, liberating to others. Will his love for his blind adopted sister endure, and will he survive tussles with the corrupt ruling family and their malevolent jester, Barkilphedro? This is Grimm with Gilliam-esque designs and some wondrous puppetry, but the emo-heavy songs ramble and the plot repeats itself. Sorry Grinpayne, it needs cutting. How salutary to see this urgent, shaming, necessarily untidy expression of the rise and fall of the Jungle refugee camp in Calais so close to Christmas. 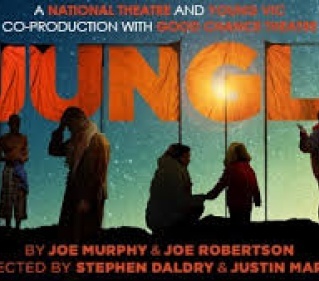 Written by the duo who ran the Good Chance theatre in the camp, and co-directed by patron Stephen Daldry, it’s a dense sprawl that nonetheless manages deftly to express global themes, ethnic differences and wrenching individual stories. Among a superb ensemble, John Pfumenojena and Ben Turner stand out as angry, proud refugees, as does Alex Lawther as a volunteer fighting inevitable compromise. One can’t help but feel complicit and guilty while watching, but also stirred by the core of shared humanity. Hard to know who this arch homage to the late 50s/early 60s sci-fi series TV is aimed at, especially at Christmas. 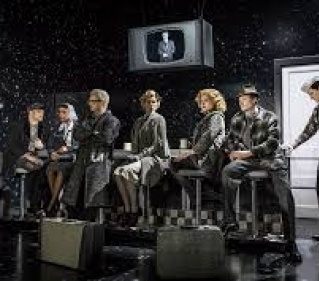 Rod Serling’s pioneering show is surely honoured more than watched today, and Anne Washburn’s adaptation mocks its dated production values and acting style rather than celebrating its influence. Stories of aliens, missing astronauts, ghostly children and alarming ventriloquist dummies are spliced together and given a typically jarring spin by Richard Jones, who either jolts shows to life or shakes them to death. Some of the urgent underlying paranoia of the period comes across and the design riffs nicely on the original’s graphics, but its altogether awkward and unsatisfying.